Are brittle bones, blurry vision, and blackouts troubling you? Could it be more than stress? Yes, could be. Problems in multiple organ systems of your body could mean vitamin deficiency. Cod liver oil is a classic solution that can help address such broad-spectrum breakdowns. Cod liver oil is a popular supplement loaded with fat-soluble vitamins A and D and essential fatty acids that repair these breakdowns. 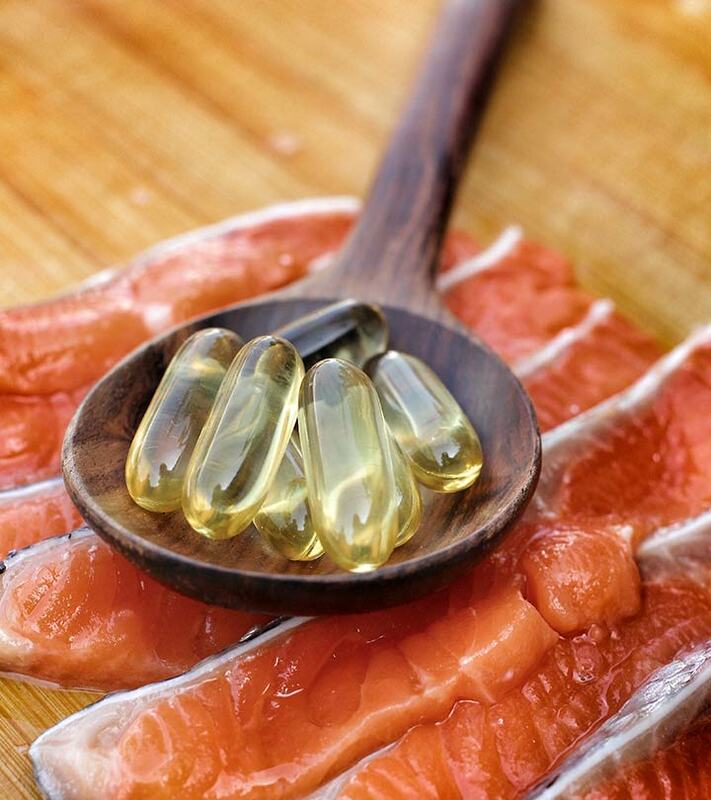 In this article, we’ll discuss the benefits, composition, and side effects of cod liver oil. Read on to know what is so special about this oil. 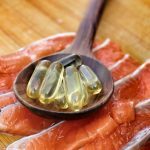 What Are The Benefits Of Having Cod Liver Oil? What Are The Side Effects Of Having Cod Liver Oil? Cod liver oil is widely used as a dietary supplement. It is a rich source of vitamin A, vitamin D, and essential omega-3 fatty acids, especially eicosapentaenoic acid (EPA) and docosahexaenoic acid (DHA) (1). It comes in various grades, but the one fit for human consumption is pale and straw-colored. It has been manufactured in several ways across the years. Most of them involve grinding or macerating the livers of Atlantic cod fish with water and simmering it gently until the oil rises. This layer of oil is skimmed and purified further to get pure oil. Cod liver oil has a characteristic smell and staining property – one of the biggest drawbacks of this natural fatty acid source. The liver is the largest reserve of fat-soluble vitamins, including vitamins A and D. It is obvious that extracts of livers will be rich in micronutrients (2). That is why cod liver oil supplementation has been suggested to reduce cardio-metabolic risk factors (2). Here are a few more of its benefits based on scientific evidence. One of the primary reasons behind inflammation is the build-up of reactive oxygen species (ROS). These free radicals react with the biomolecules of healthy cells and trigger cell damage, leading to inflammation. This leads to several bone diseases like arthritis, osteoporosis, osteoarthritis, etc. (3). Marine oils like cod liver oil are rich in omega-3 and omega-6 fatty acids and vitamins A and D. All these components are critical for building bones and eliminating free radicals (4). Omega-3 fatty acids increase the activity of cellular antioxidant enzymes like superoxide dismutase, glutathione peroxidase, and catalase. Ultimately, the fats in cod liver oil can reduce inflammation and related disorders effectively (4). 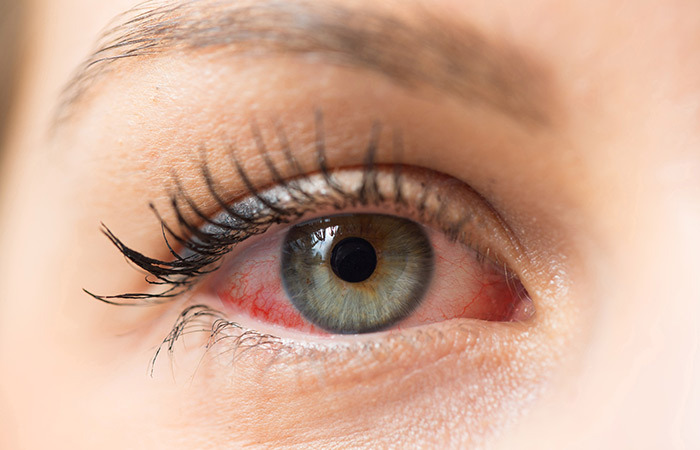 Though it is not well studied or proven, cod liver oil and other omega-3 fatty acid supplements are used to treat dry eyes, external eye infections, and even glaucoma. Cod liver oil is abundant in vitamin A, which is essential for maintaining healthy vision (1). It also has eicosapentaenoic acid (EPA) and docosahexaenoic acid (DHA) that are specifically concentrated in the phospholipids of the retina (1). These fatty acids counterattack the prostaglandin molecules that cause ocular disturbances in eye diseases. Hence, taking cod liver oil supplements can protect your eyes and prevent age-related macular degeneration and eye weakness (1). The skin is one organ that is most sensitive and responsive to vitamin A levels. Vitamin A deficiency affects not only the eyes but also the skin and immune system. Supplementing vitamin A using cod liver oil can heal wounds quickly and reduce the severity of skin diseases like acne. This activity is attributed to eicosapentaenoic acid (EPA) and other omega-3 fatty acids present in cod liver oil. Fatty acids like EPA inhibit the production of inflammatory and pain-elevating chemicals (prostaglandins) (5). They help stop the worsening of acne, wounds, eczema, psoriasis, and other inflammatory skin diseases. As omega-3 and omega-6 are present in the membranes of cells of the eyes, nerves, and skin, an imbalance in their levels can result in visual impairment. Cod liver oil can improve cognitive ability, particularly in those who have dementia, rickets, ADHD, and various cerebrovascular diseases. EPA, DHA, and omega-6 fatty acids are involved in the synthesis of acetylcholine, one of the crucial neurotransmitters. Such neurotransmitters are involved in cell signaling, protein modifications, protein transport, gene activation, and multiple processes (6). Consuming cod liver oil can sharpen your cognitive skills, steer brain development and maintenance, and protect the nervous system from age-related setbacks and brain and spinal cord defects in some cases. One of the classic symptoms of vitamin D deficiency is low immunity and increased susceptibility to infections (7). Having vitamin D supplements can help treat cold (flu), cough, and chronic respiratory diseases like tuberculosis. Since vitamin D is involved in innate immunity, its presence in supplements like cod liver oil triggers the production of bactericidal and antimicrobial substances in the cells. Due to this, the immune system cells roll into a cascade of cellular events, at the end of which the pathogen is killed. The resultant inflammation is reduced significantly. A recent well-designed study showed that administering a therapeutic dose of vitamin D resulted in a 42% decrease in the incidence of influenza infection (7). A study in 2005 investigated the effect of dietary intake of cod liver oil on women in early pregnancy (15 weeks prior to gestation). Analysis showed that maternal intake of liquid cod liver oil early in pregnancy was associated with higher birth weight and lower risk of diseases later in life (8). It was also pointed out that mothers taking cod liver oil supplements and seafood gave birth to children with better visual recognition memory and higher scores of verbal intelligence. However, more recent studies find no significant difference in cognitive and language scores in children of mothers on supplementation and their counterparts receiving placebo (9). Supporting studies elucidate the role of vitamin D in ovarian and uterine development and maintaining the ovarian reserve. In other words, providing vitamin D supplements to women with PCOS or small ovarian reserve might solve predominant impaired fertility (10). Looking at the list of benefits, cod liver oil seems to be a must-add to our list of supplements, isn’t it? Its nutritional composition is even better! Let me give you a brief. If this treasure chest of monounsaturated fatty acids has tempted you enough, here is what you’ve got to do. Start consuming cod liver oil – now! But where do you get it? Cod liver oil is available in various forms on the market or over-the-counter (OTC) at the pharmacy. You can find pure cod liver oil in its liquid form. Check it out here. It has an unusual aftertaste that not many like. The other option available is oral capsules. Pop a capsule per day, and you are sorted! Check them out here. For those of you that have capsule-o-phobia (like me! ), and are worried that they might choke you to death, there is good news. You can now enjoy the cod liver oil packed in soft gels. Check them out here. Before the pharmacist hands you a bottle of fish oil claiming it to be cod liver oil, you should read this. Don’t go by the pharmacist’s words. Fish oil and cod liver oil are not the same. Fish oil is made from the whole body of the fish while cod liver oil comes only from the processed livers of cod fish. Another major difference is that vitamin D is concentrated in the liver of the fish and is thus plentiful in cod liver oil. Whereas, fish oil has an insignificant amount of vitamin D, for obvious reasons (11). Read the labels on the product and do your bit of research before buying such supplements. You should also inform your physician and all health care providers if you plan to include it in your regimen. Also, be on the lookout for any red flags because cod liver oil can be harmful in some cases. 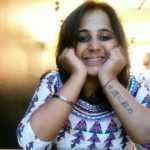 Scroll down to find out what the red flags could be. Cod liver oil is likely safe in small doses for most adults and children when orally ingested. You should consider talking to the pediatrician regarding the use of this medicine in children. Special care may be needed. Having cod liver oil with meals can often decrease the side effects. But, high doses of cod liver oil are possibly unsafe. Women who are pregnant or lactating should not take cod liver oil that provides more than about 3000 mcg of vitamin A and 100 mcg of vitamin D.
Antihypertensive drugs: Taking cod liver oil along with antihypertensive drugs can cause your blood pressure to drop too low. Anticoagulants: Medicines like warfarin, aspirin, diclofenac, clopidogrel, dalteparin, enoxaparin, and ibuprofen can slow down blood clotting. Taking cod liver oil along with these drugs can delay the blood clotting a bit too much. This can cause excessive bleeding, blood loss, and bruising. Herbs and supplements performing the above-listed functions, when taken with cod liver oil, can also worsen the situation of the patient. Studies on essential fatty acids reveal their significance in several vital reactions happening all the time in your body. Since our usual diets cannot provide the optimal levels of these fatty acids, many practicing physicians and dietitians suggest marine oil supplements like cod liver oil. There is not enough scientific data indicating the right amount of cod liver oil one should take. But the upper limit of intake of vitamin D is 4000 IU/day (13). This is why you should always stay in constant touch with your physician or specialist and design your dosage accordingly. Try buying a small bottle of pure liquid, capsules, or the soft gels – whichever suits you the best. Tell us how your experience was with this oil. Write your feedback, comments, and related queries in the box below. “Cod liver oil: a potential protective supplement for human glaucoma” International Journal of Ophthalmology, US National Library of Medicine. “Mother Was Right About Cod Liver Oil” The Medscape Journal of Medicine, US National Library of Medicine. “Reactive Oxygen Species in Metabolic and Inflammatory…” Circulation Research, US National Library of Medicine. “The Concomitant Consumption of Cod Liver Oil…” Journal of Clinical and Diagnostic Research, US National Library of Medicine. “Why Omega-3 Oils Help at the Cellular Level” UC San Diego News Center. “[Omega-3: from cod-liver to nutrigenomics]” Minerva Pediatrica, US National Library of Medicine. “Vitamin D and the Immune System” Journal of Investigative Medicine, US National Library of Medicine. “Relationship between dietary intake of cod liver oil in…” BJOG, US National Library of Medicine. “Fish Oil Versus Cod Liver Oil: Is Vitamin D…” Journal of the American Board of Family Medicine. “Cod Liver Oil oral capsules” Health Library, UC San Diego Health. “Vitamin D” Fact Sheet for Consumers, Office of Dietary Supplements, National Institutes of Health.